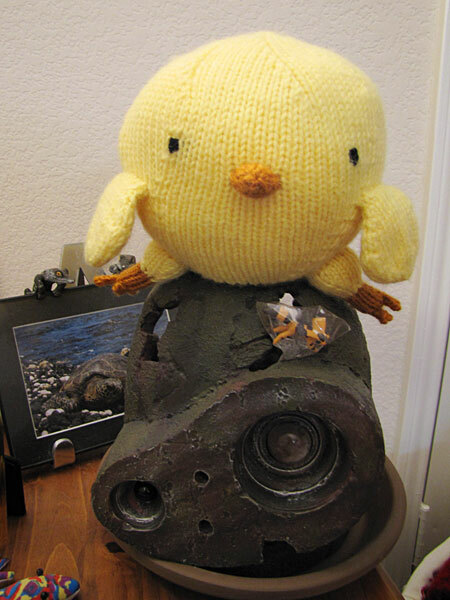 I’ve often threatened to keep toys I’ve made instead of giving them to the intended recipient. This time I’m doing it. 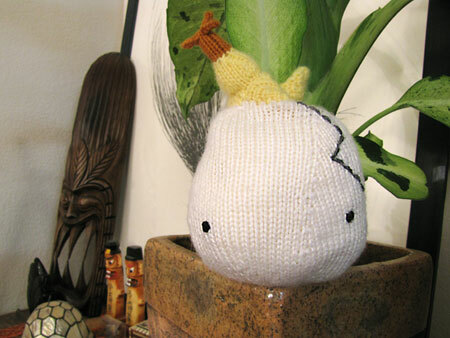 Sorry, Mystery Would-Be Receiver of this existential conundrum, this one really is too cute to give away. I’ll make you something else, I promise. You’ve all heard me rave about Anna Hrachovec’s patterns before. 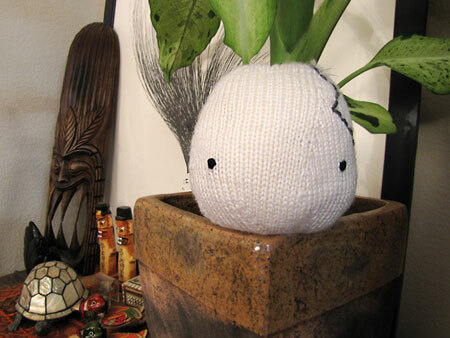 This little guy is the fifth Mochimochi Land pattern I’ve knit* so far and I don’t plan to stop any time soon! The pattern is wonderful, as usual. The only recommendation I would make is to stuff the toy somewhat firmly. You can pack quite a bit in there and still be able to flip from egg to chick easily. *Fun fact! This means Anna ties Eunny Jang for the designer I knit the most. 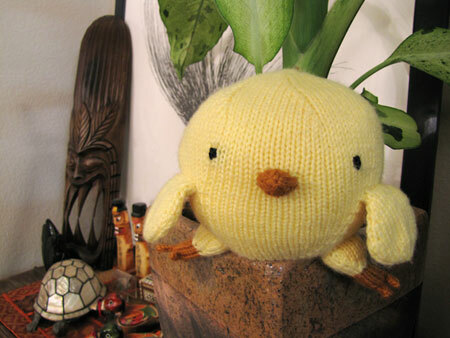 CogKnition posted this on May 30th, 2010 @ 11:24pm in Toys | Permalink to "Which Came First?"